Periodontal disease (also commonly referred to as gum disease) is one of the most common oral health ailments in the world. Not only can this infection rob you of your healthy teeth and bone over time, but studies have also suggested links between the presence of periodontal disease and other serious disorders like heart disease, diabetes, and more. Are you experiencing any of the following symptoms? If so, don’t wait to schedule a checkup and cleaning at Dr. Canzoneri’s practice. Our team can screen for periodontal disease and provide effective therapy if we do discover troubling signs. Contact us today here in Arcadia, CA! When our team determines that a patient is suffering from moderate periodontal disease, we will be likely to recommend scaling and root planing as a solution. This treatment option is like a more in-depth cleaning and will be performed in multiple parts. First, we will start with the scaling portion, during which Dr. Canzoneri will carefully eliminate plaque and tartar from the tooth surfaces and underneath the gum line as well. Once this is complete, the root planing portion begins. At this point, we will go deeper to the surfaces of the tooth roots. The roots are likely to become rough over time, and harmful bacteria are naturally drawn to these areas of your smile. By smoothing these surfaces, we can eliminate plaque and reduce the risk of further inflammation. Following scaling and root planing, our team will provide extensive instructions for how to properly practice oral hygiene at home. We will likely want to see you for more frequent appointments in the immediate future to ensure that your oral health is being maintained. 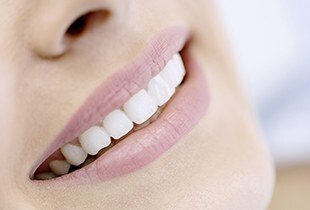 Soft tissue laser therapy is a modern and highly effective technique for treating periodontal disease. 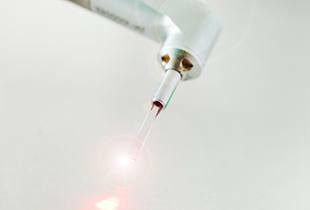 Dr. Canzoneri will use the technology’s focused wavelength to precisely eliminate infected tissue while leaving healthy structure safely intact. It will also eliminate accumulations of bacteria within the periodontal pockets and encourage the gums to reattach to the teeth. Patients should recover quickly from this procedure and will experience only minimal post-operative symptoms.